How to Save Money and Nature with Printing | TonerGreen - Eco-Friendly Toners from the U.S. 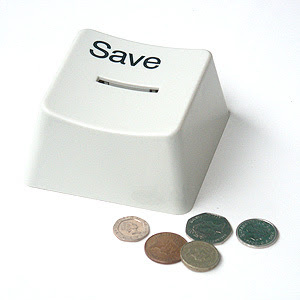 It is not unusual nowadays to spend a little more time looking for ways to save on expenses. On top of that, there are also those who wish to cut their costs while helping nature as well. This is actually possible when it comes to printing. Have you ever considered saving money and nature through your everyday printouts? If not, then you might just want to try these tips. The first thing that you can do is to review your file before actually hitting the “Print” button. While some may find it a waste of time, by taking a few seconds to review your document, you might just save a lot for yourself. Just imagine printing the wrong file or having parts that you do not need on your document. It’s frustrating, so you might as well check on it before finally creating your printout. This also saves paper, laser toner cartridge or printer ink, and time. The next tip you could try is actually reusing your printouts. This is applicable for those printer users who normally create prints for their personal use. If it's not that important, you can either just read it on your desktop or print it on used paper. Just be sure that the paper is still of good quality since you wouldn’t want to have paper jam problems. Lastly, you can always go for remanufactured toner cartridges and ink cartridges. These are printer supplies that can surely cut your expenses while helping the environment as well. Every remanufactured printer cartridge is made with recycled cartridges that lessen the consumption of energy and resources. This also means that you are given a lower price since you do not have to pay for the brand new parts used in manufacturing an original. Applying at least one of the tips here or even all of them will surely help you save on money and nature through your printing. Just be sure to make a habit of these tips and you’ll start seeing the benefits and the savings.